You’ve come a long way, buddy. Gillette is starting a marketing campaign (and charity program) aimed at encouraging men to have a positive impact and reject the kind of boys-will-be-boys toxic masculinity characterized by wolf whistles, mansplaining, bullying and other boorish behavior. 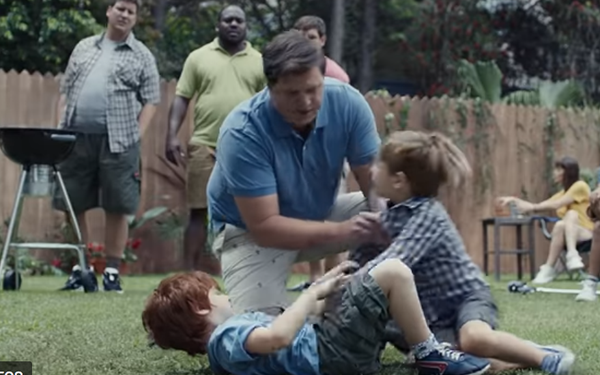 The new attitude works with Gillette’s tagline, “The Best A Man Can Get” — but now, instead of scenes of clean-shaven alpha males scoring on the playing field, singles bar or Wall Street (“Where the race is won/You’re the champion” according to the old jingle’s lyric), the scenes in the new ad and their shortened versions are way more sensitive. “That’s not the way we treat each other, OK?” lectures a father, breaking up a fight between two boys at a picnic. When a man sees an attractive woman walk by, leers and seems to be ready to start following her, his friend pulls him back. “Not cool,” he says. The new ads will be seen in a digital campaign, with no announced plans for a TV schedule. The original “Best A Man Can Get” ad debuted during the Super Bowl 30 years ago. Gillette says it conducted a national survey of men and women to discover “attributes of a man ‘at his best.’ The results emphasize the outsized importance of ‘soft” skills’ in today’s modern man – and most particularly the application of those skills to the role of fatherhood,” a press release explains. “As the world’s largest marketer to men, we knew that joining the dialogue on ‘modern manhood’ would mean changing how we think about and portray men at every turn,” said Gary Coombe, president, P&G Global Grooming. He said that from now on Gillette will review “all public-facing content against a set of defined standards” in ads, images and words. That’s a far cry from the 1970s, when famed motivational researcher Ernest Dichter supposedly convinced Mennen that its “Thanks, I needed that” campaign for Skin Bracer would work with men who subconsciously felt shaving emasculates them — and that a few fast, alcohol-stinging Skin Bracer slaps in the face would give them a sense once again of being “man enough” to tough it out. The Gillette ad, titled “We Believe,” came from Grey Advertising. It was directed by Kim Gehrig, as part of the Free The Bid initiative that encourages agencies and brands to give voice to women filmmakers in television and film. Gillette is also committing to donate $1 million a year, for the next three years, to nonprofit organizations that have programs designed to “help men of all ages achieve their personal ‘best’ by emphasizing respect, accountability and role modeling.” The first year, the award is going to the Boys & Girls Club of America. 1 comment about "Gillette's 30-Year Old 'Best A Man Can Get' Tag Gets A Sensitivity Massage". Jer Foster from 1000Bulbs.com, January 16, 2019 at 5:01 p.m. The national survey to discover the ‘best attributes of a man’ should include men acting like men. While soft skills may be necessary for the modern man to be able to navigate through politics, millennial women and sensitive males, men still want to be men, and that’s “Getting the Best a Man can Get”… whether that’s the job, the car, or the girl. “We Believe” is what you tell little girls in bedtime stories. Work hard, persevere, submit to authority, stand up for those weaker, be the servant AND the leader, don’t just dream set deadlines, know how to use a knife and a gun, and always tip more than you should. With women, don’t be afraid to ask her out, always ask her to dance, and when in doubt, always go for the kiss. Life is too short to be sit back and be reactive, only those who take the risk or initiative will live their own best life.. “believing” is hoping and hope is not a winning life strategy. So pick up the fly fishing rod and put down the selfie stick. Busch has it right, Gillete has it wrong.